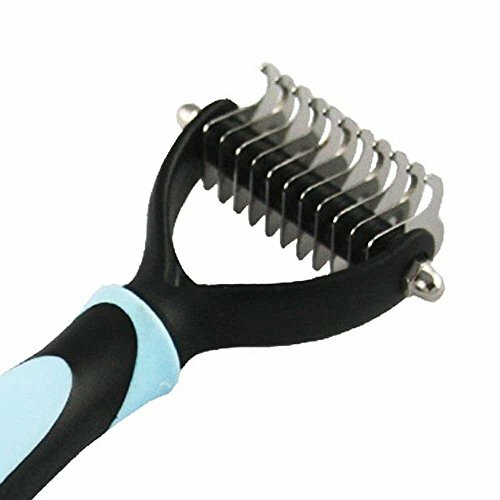 Give pets experience no pain, no scratch undercoat removal- Snailmon 11+6 Precision teeth dematting rake can gently remove loose hair, mats and tangles with minimal tearing and cutting. Sharp but safe. easy to de-shedding dogs & cats with medium to long coats with the no scratch round teeth, which can groom the undercoat well. Comfortable to use with a comfort-grip and Anti-slip handle in daily use for you. Durable Solid stainless steel round teeth in double side. Quality Guarantee! Choosing Top factory produce would offer every customer best quality prodct. Promise here, with any quality problem, we Snailmon offer free exchange! If you have any questions about this product by Snailmon, contact us by completing and submitting the form below. If you are looking for a specif part number, please include it with your message.